Romania's "Little Paris" brings you 500 years of history starting with none other than Dracula. Home to Bran Castle, otherwise known as Dracula's Castle, is the most prominent building in the city. This Gothic Style fortress sits on the border between Transylvania and Wallachia. The castle and is the inspiration behind the legendary Count Dracula, also known as Vlad the Impaler. The castle is now a museum that can be visited by tourists and locals alike. Bucharest is also Romania’s capital and commercial centre, located in the southern part of the country. 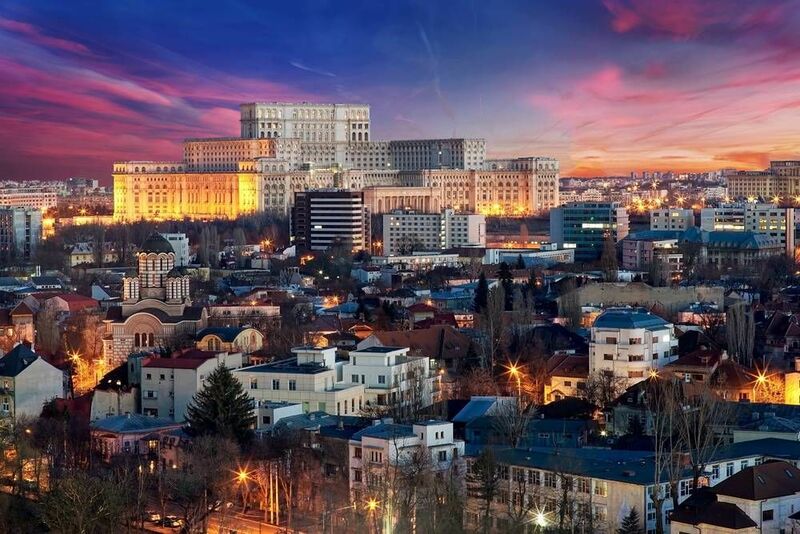 Legendary buildings and elegant architecture are some of the things to expect from Bucharest. Other top attractions in Bucharest include the Romanian Athenaeum, a neoclassical concert hall from 1888; the Palace of the Parliament; and the National Museum of Art of Romania. Nightlife in Bucharest is another great aspect of this city. Locals, travellers, and tourists gather daily in the Old Town for drinks and a good time. This is the perfect place to let loose and enjoy a night out with friends. Joining a walking tour is the most entertaining way to see the city. Not only will the guides take you to the main sights and tell you about their history, but also keep you entertained and engaged throughout the walk. Walk through 500 years of history in this mesmerizing tour of Bucharest. The friendly guides will take you to explore the city’s fascinating architecture and the main landmarks. This tour lasts for two hours. See the Ruins of Vlad’s, the Citadel, and the Palace of Parliament. If this is your first time in Bucharest, then this is the ideal tour for you. Below you can find more popular (but not free) activities and tours in Bucharest. Are you from Bucharest and want to be a tour guide? Please get in touch by submitting your details on this page!